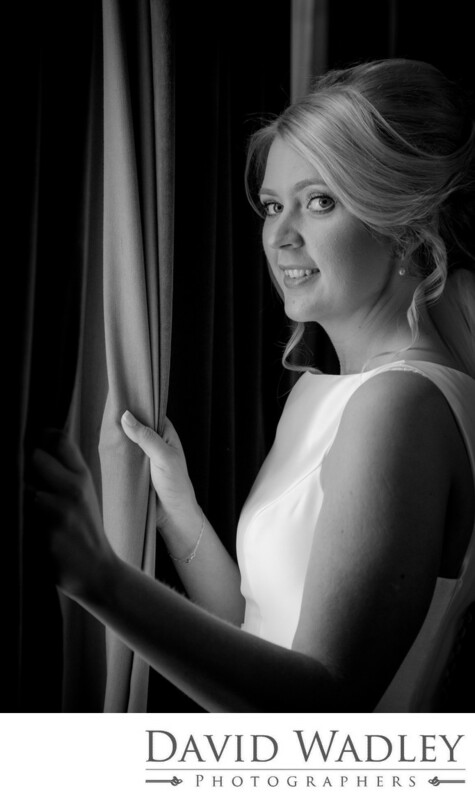 Bride looking out on her wedding day at Grafton Manor Hotel Bromsgrove. Bride looking out on her wedding day at Grafton Manor Hotel. Location: Grafton Manor Hotel Bromsgrove.